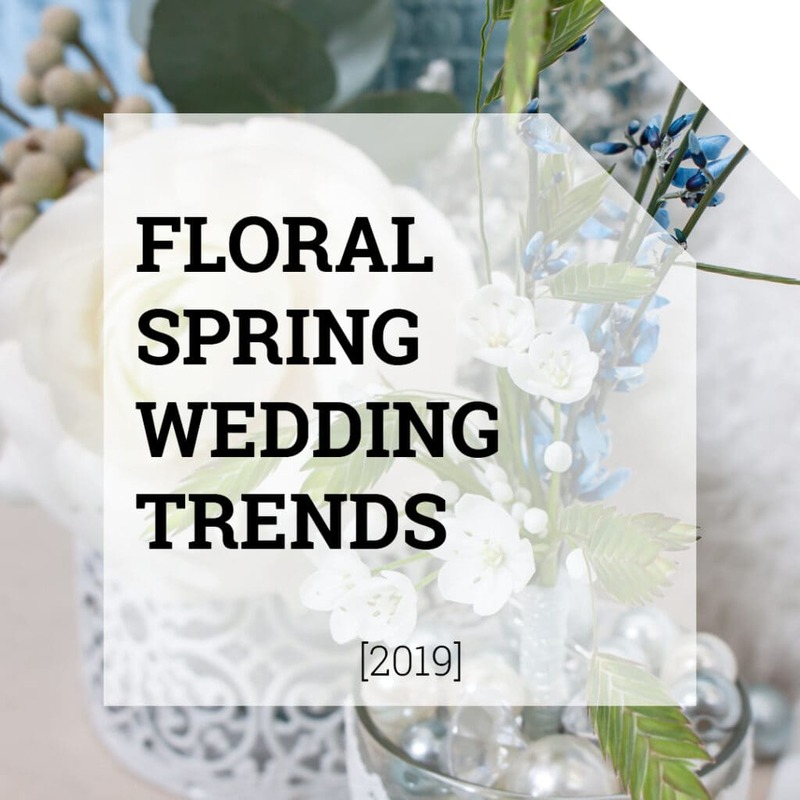 Floral designing for a stylish summer wedding, what else can be more fun? 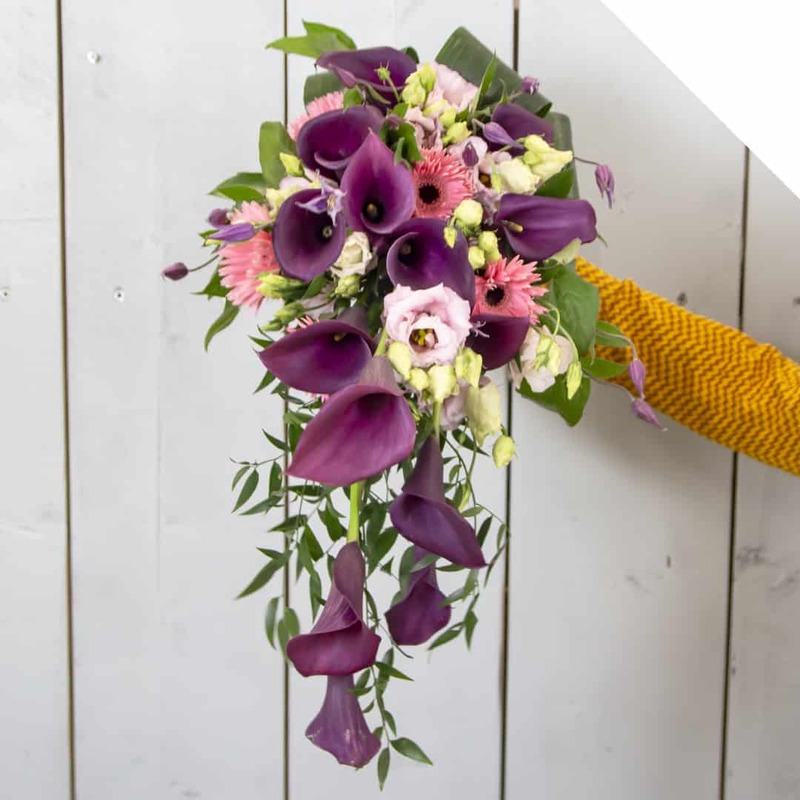 Calla Lilies are the perfect flowers if you want to go for an elegant, stylish look. Combine this with a mix of bright colored summer flowers and success is guaranteed! 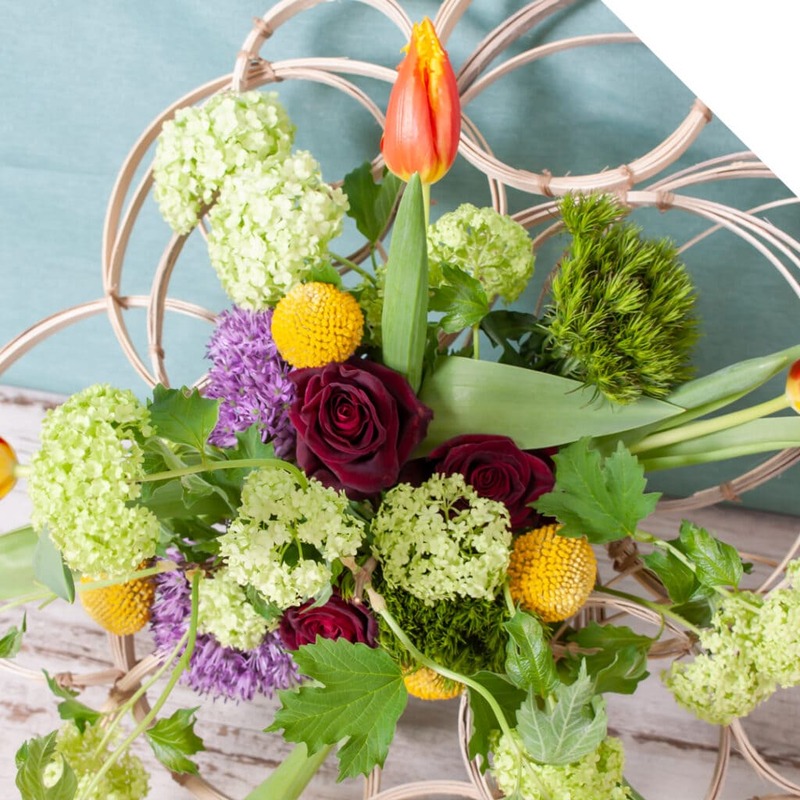 Be inspired by this video tutorial, follow the steps below and create this elegant summer wedding bouquet. Fold the top of the Aspidistra leaf down to the stem. Use a piece of floral tape to secure. Start with a Lisianthus. Then Add a Calla and a stem of Ruscus. Continue to make small bunches of 1-3 flower stems and a stem of green. Add them to your bouquet. 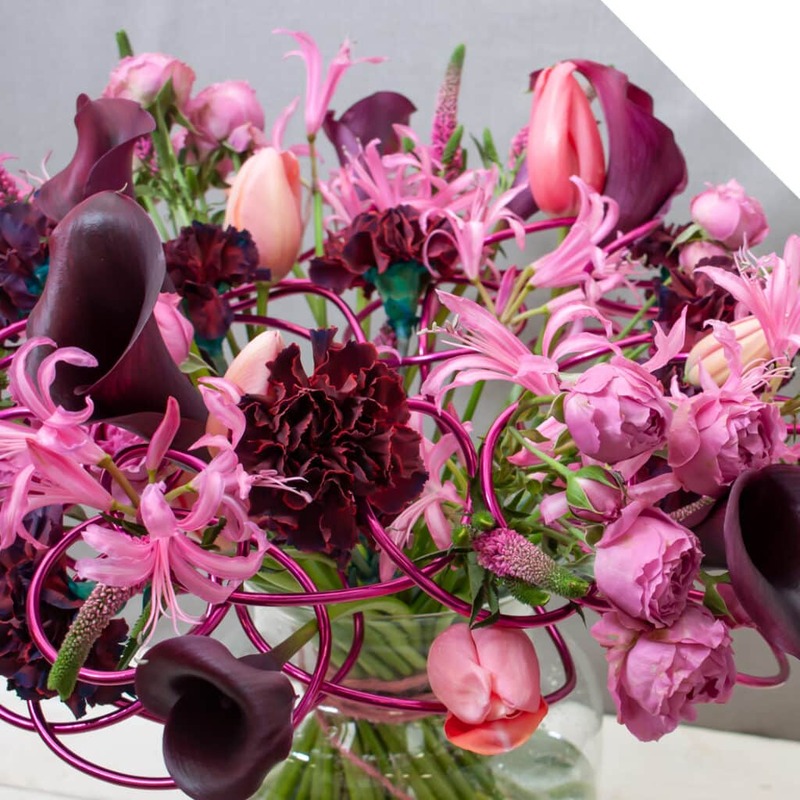 Make sure you vary enough so the flowers are spread out nicely in your bouquet. Add the Aspidistra leaves that you’ve folded in the beginning to your bouquet. Wrap the floral tape tightly around the stems. Now wrap the linen rope over the floral tape. Tie with a knot. Your elegant summer wedding bouquet is now ready for use! Enjoy!